SAN FRANCISCO — Cassava, collagen and cannabis are among the cutting-edge ingredients driving product development in the specialty food industry. Other emerging trends include fermented functional beverages and creative twists on ice cream. “For our industry to stay competitive, you have to keep an eye on what’s next — not just the trends right now, but what’s coming,” said Denise Purcell, head of content for the Specialty Food Association. At the association’s 44th annual Winter Fancy Food Show, held Jan. 13-15 in San Francisco, more than 1,400 exhibitors showcased over 200,000 square feet of food and beverage innovation. Speaking with Food Business News prior to the event, Ms. Purcell offered a preview of product trends at the show. No longer limited to vegans and vegetarians, dairy and meat alternatives appeal to today’s health-conscious consumer. From savory eggplant jerky to smoky cashew cheese, brands are putting a plant-based spin on traditional product categories. Featured at the Winter Fancy Food Show, The Abbot’s Butcher, Costa Mesa, Calif., produces gourmet burgers and more using ingredients such as porcini mushrooms and peas. Alternative dairy products have expanded beyond almond and coconut to include offerings made with oats, peanuts, macadamias and walnuts. Other plant-based products debuting at the show include a mango passion fruit pudding and a turmeric-infused dark hot chocolate mix. Still, opportunities abound in the meat and dairy categories, which lately benefit from the buzz behind carb-restricted diets. Many products on display at the Winter Fancy Food Show are marketed to appeal to followers of the low-carb, high-fat keto diet; examples include Keto Pint, a brand of no-added sugar, low-carb ice cream, and 4505 Cracklins, a line of lard-fried pork rinds in sea salt and spicy green chili and lime flavors. A handful of exhibitors highlighted keto-friendly takes on traditionally carb-heavy foods such as crackers, noodles and cookies. Read on for more emerging trends spotted at the Winter Fancy Food Show. Consumer desire for authentic regional flavors has cast a spotlight on previously unfamiliar seasonings and sauces. 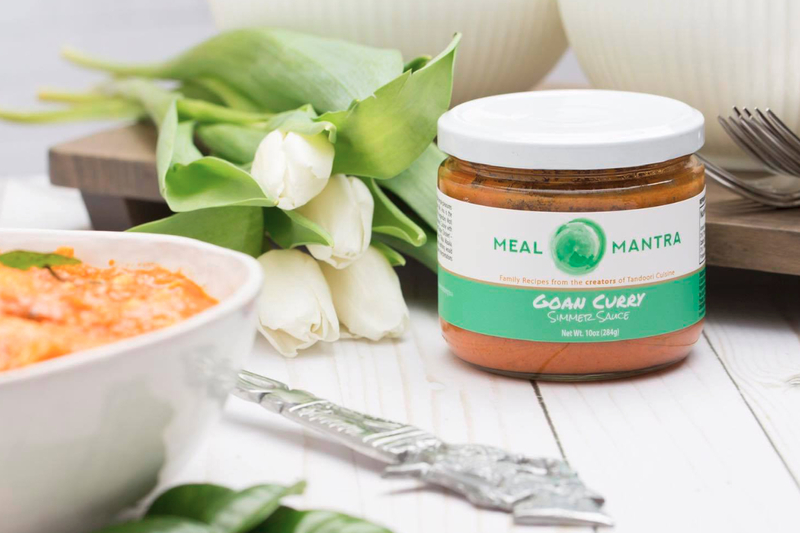 Among new brands at the show are Meal Mantra, a line of Indian curry sauces created from heirloom recipes, and Loisa Comida Real, a maker of organic ready-to-eat rice with Latin American Sazón seasoning. Mama Kicks features a berbere sauce inspired by a traditional Ethiopian spice blend. Fonio, a nutty, nutritious grain grown in West Africa, is poised to be “the next quinoa” and appears in at least two products at the Winter Fancy Food Show. Nom Noms World Food offers a range of ready-meals spanning Moroccan, Malaysian, North and South Indian and British cuisines. Exotic fruit flavors are cropping up, too. Beverages unveiled at the show feature Filipino calamansi, Japanese yuzu and African baobab. Continued interest in digestive health has pushed probiotics, prebiotics and fiber front and center. Refrigerated ready-to-drink functional beverages are on the rise, up 20% in retail sales from 2015 to 2017, according to the Specialty Food Association. From Purely Beverage Co., Q Soo sparkling tonics include apple cider vinegar paired with such flavors as pineapple Thai chili, grapefruit and citrus peel, and ginger lime. 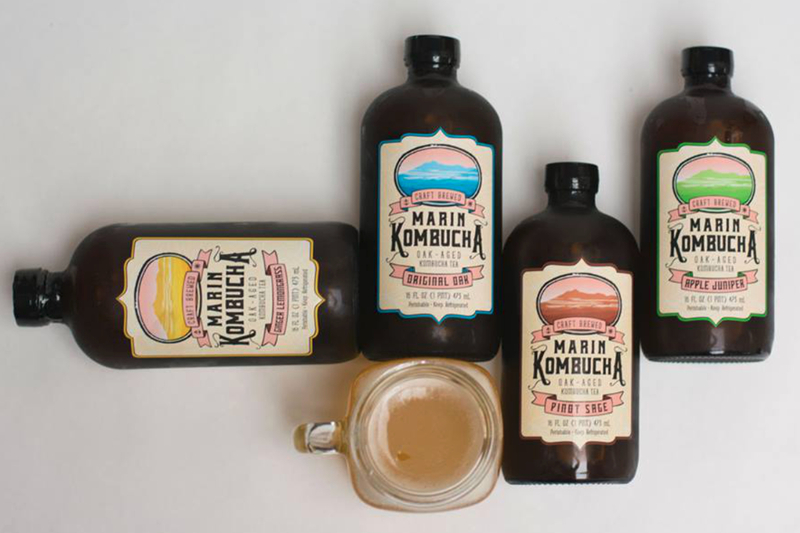 Marin Kombucha offers a line of oak-aged fermented tea beverages in apple juniper, pinot sage, ginger lemongrass and new melon rose and cactus agave varieties. Beverages from Zen Basil contain organic basil seeds with plant-based prebiotic fiber, electrolytes, vitamins and minerals. Probiotics show up in unexpected food and beverage products, including olives and a miso dressing seen at Winter Fancy Food. Linked to health and beauty benefits, collagen is popping up in more foods and beverages, from snack bars to juice shots. 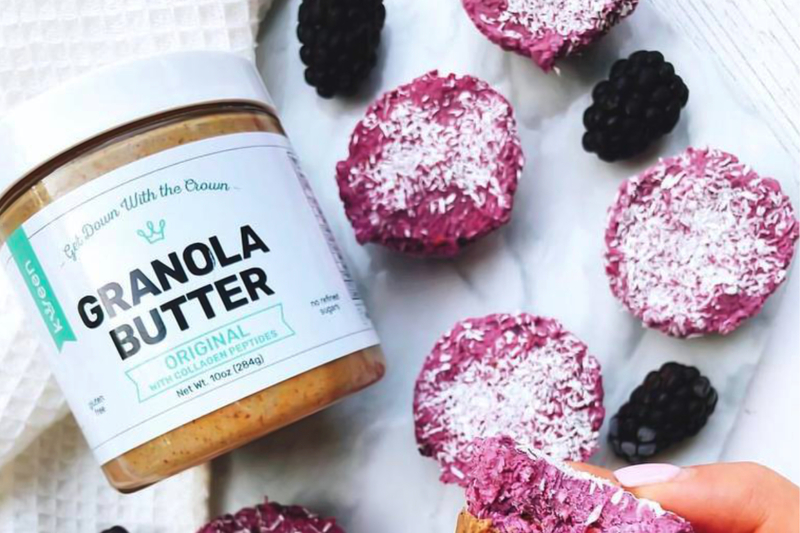 Kween Foods, San Diego, makes granola butter featuring collagen peptides, which is “excellent for hair, skin and nails,” according to the company. The spread was developed as an allergen-free alternative to nut butter and combines gluten-free rolled oats, golden flax, olive and coconut oils, maple syrup and cinnamon. New from Republic of Tea is the Beautifying Botanicals collection, featuring ingredients such as rose hip, bamboo and blue butterfly pea flower, each of which are associated with improving skin, hair and nails. Argan and almond oils, previously seen in skin and hair products, may now be found in packaged food including Argania Butter Argan Almond Butter and Noosh Brands Virgin Almond Oil. Both oils are believed to help hydrate skin, promote elasticity and reduce visibility of wrinkles. Innovative new twists on ice cream include non-dairy, high-protein and lactose-free formulations. 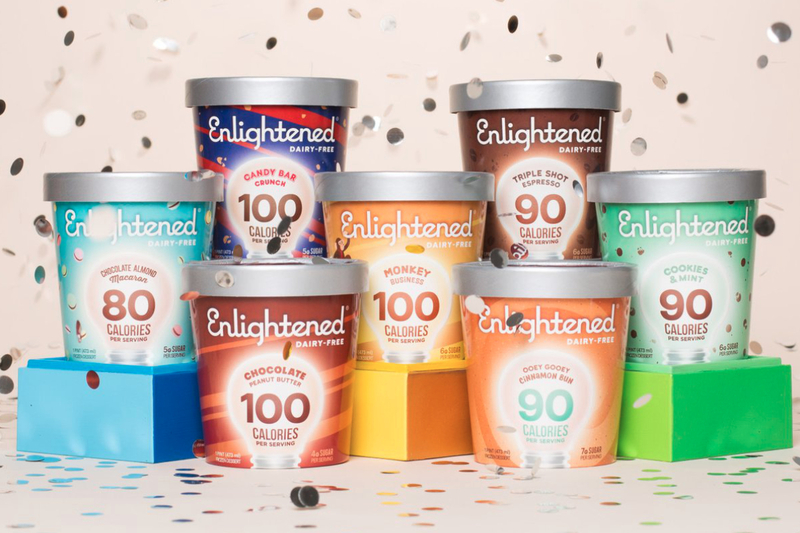 Enlightened, a maker of high-protein, reduced-calorie ice cream, has added a line of dairy-free pints in flavors such as cinnamon bun, chocolate almond macaron and cookies and mint. Re:Think Ice Cream contains twice as much protein, a third of the sugar and half of the calories of traditional ice cream, according to the company, and features such flavors as cardamom pistachio, coconut matcha and Meyer lemon poppyseed. Beckon produces premium, lactose-free ice cream in flavors including espresso and sea salt chocolate chip. Boutique creameries such as Coolhaus and Jeni's Splendid Ice Creams are churning out creative combinations, including Street Cart Churro Dough and Brandied Banana Brûlée. Another exhibitor, The Konery produces premium, vibrant waffle cones in flavors ranging from toasted coconut to lavender. Seaweed is making a splash beyond snacks and sushi, adding umami flavor and nutritious minerals to mealtime mainstays. Ocean’s Halo, a maker of broths, snacks and sauces, is launching ready-to-drink beverages featuring deep sea water and kelp extract. Flavors include watermelon lime, kiwi aloe, hibiscus cinnamon and honey ginger. 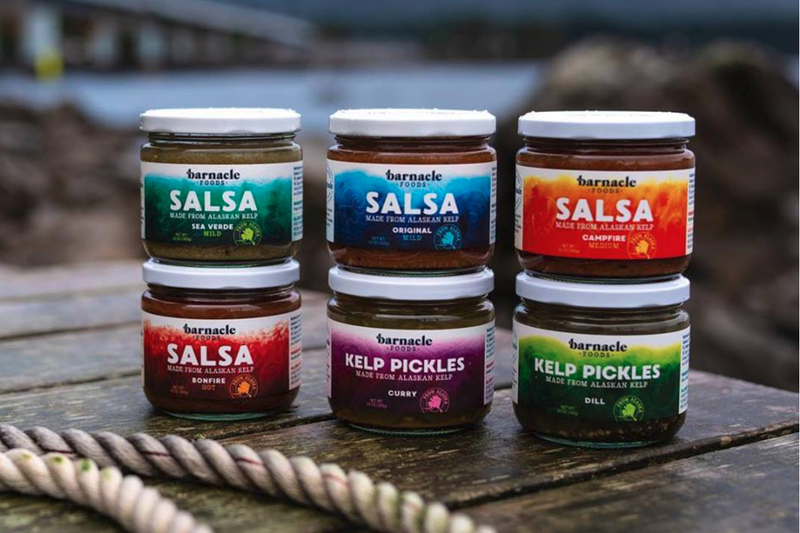 Barnacle Foods produces salsa made from Alaskan kelp in original, campfire and sea verde flavors. Blue Evolution offers pastas infused with seaweed grown on the company’s own on-shore farms near the Pacific Ocean. Spirulina, a blue-green algae, is listed as an ingredient in a refrigerated nutrition bar from OHi Food Co. and almond milk smoothies from Remedy Organics. Red algae is featured in a wellness shot from Vive Organic. Several new products debuting at the Winter Fancy Food Show combine two flavors in each bite. 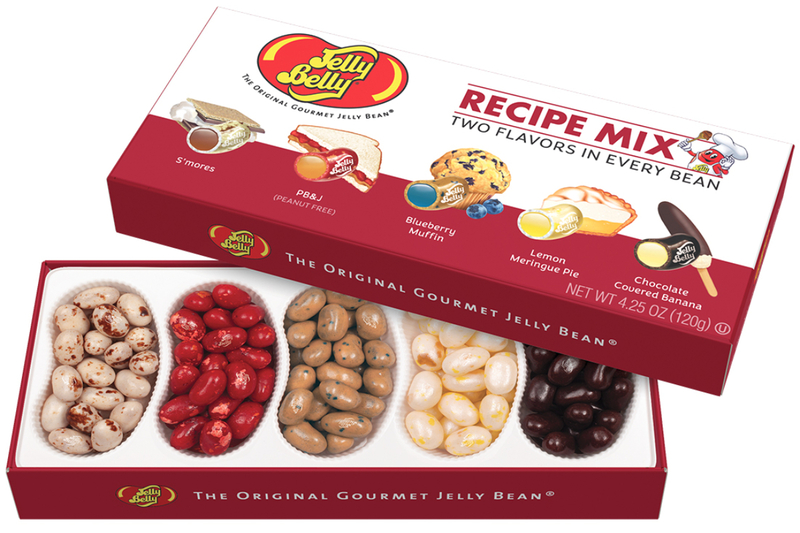 Jelly Belly Candy Co. unveiled its new Recipe Mix collection, which pairs two flavors in every bean. Varieties include s'mores, peanut butter and jelly, blueberry muffin, lemon meringue pie and chocolate covered banana. From Endangered Species Chocolates comes ESC Duoz, a new dual-filled single-serve chocolate bar featuring side-by-side flavors such as cinnamon caramel plus coffee caramel and peanut butter plus caramel. Madelaine Chocolate Co. is introducing a line of double-filled chocolate truffles. Combinations include raspberry and peanut butter, peanut butter and caramel, cherry and dark chocolate truffle and caramel and dark chocolate mocha truffle. On the savory side, The Popcorn Factory, a business unit of 1-800-Flowers.com, offers Kettle Krave, a range of ready-to-eat popcorn featuring two flavors of kernels in one bag, including grilled cheese and tomato soup, buffalo wing and creamy ranch, and maple and bacon. 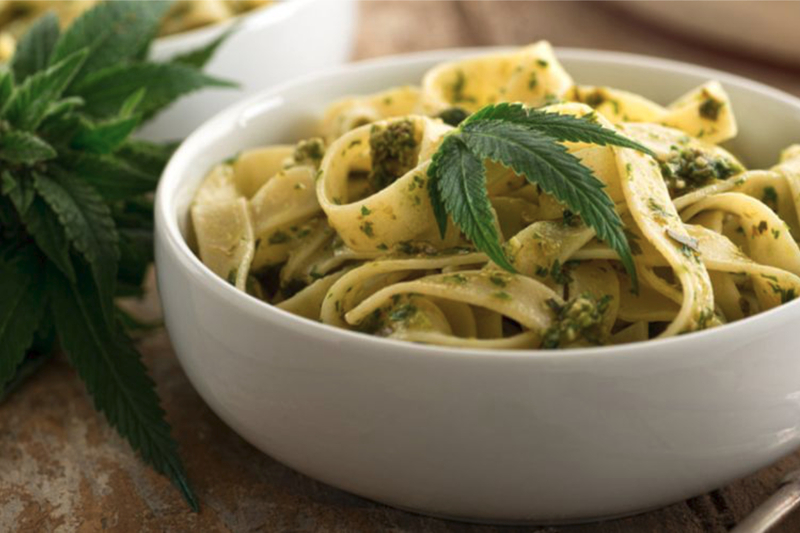 Although identified as an emerging food and beverage trend by the Specialty Food Association, cannabis was generally banished from the trade show floor. Even cannabidiol, or C.B.D., the non-psychoactive compound of hemp and marijuana plants, remains restricted in food and beverage use, despite its recent popularity as a pain reliever.